I had the privilege of being able to attend ICE this year together with my colleague at inUse, Jakob Rönnemalm. If you want to read more about the show in Swedish then head over to www.inuseful.se where we have made a few blog posts about the show. This year the ICE show was at the ExCel London Exhibition and Convention Centre and this venue was great. I think it was a big improvement from the previous years at Earl’s Court. In previous years there have been a lot of branded games for offline casinos, but this year we saw a lot of branded games for the igaming industry as well. 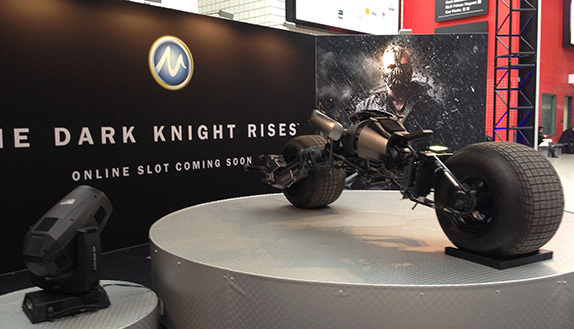 iGaming slots included “The Dark Knight Rises”, “CSI: Las Vegas”, “Fast and the Furious”, “Plants vs. Zombies” and “South Park”. 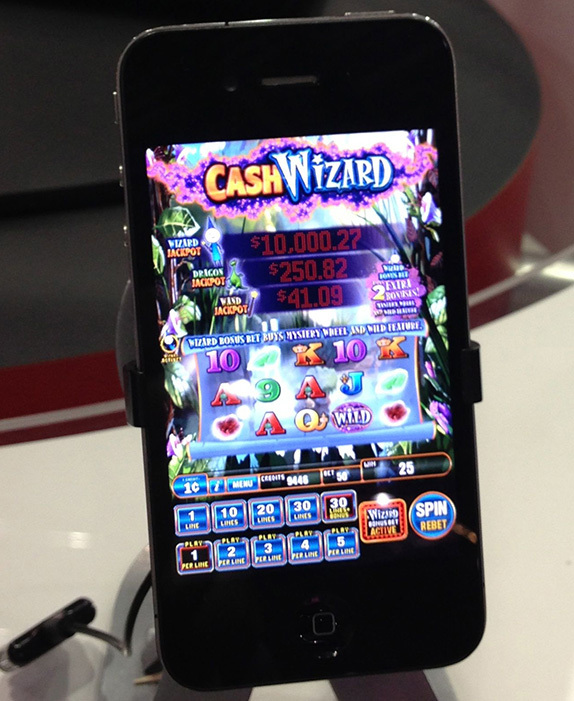 I believe that branded slots will get a lot of attention and players will probably try them out. Lets just hope they are as good as their brands. We saw much more games available for the tablets. Especially for the iPad but also some had games for the Android platform as well. The usability within the games, i.e. where controls are placed, how you place bets and so on, were not the best. Some suppliers had a pretty good interface but it seems that many actually have just copied what they have for the PC. You should optimize the interface for each platform and take advantage of the possibilities. It seems like most have focused on tablets and we didn’t see very many mobile games. I wonder if this is because the screen real estate is so small that it is not that easy to build a great gaming experience or maybe they focus on the tablet games first? In the image above you see that most of the screen is filled with selections and not so much the game itself. As with mobile games the social games weren’t that prominent. The big suppliers seem to have no focus on it right now. Is it because the players playing social games aren’t the same as the igaming players? Or do they not really understand how to make them work together? I believe that there are a lot of opportunities within the social games and maybe we’ll see more social initiatives next year. This is one segment that has really taken off. 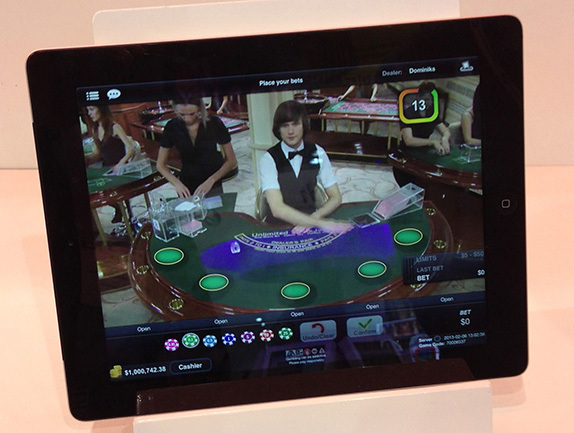 There were a lot of suppliers offering live casino solutions, and Net Entertainment also releasing their version soon. The quality of the games from a player experience perspective differ a lot between the different suppliers. Some are really good but some are pretty bad. Poker was really absent at the show this year. The trend I see is that the focus is really on casino games and sports betting. 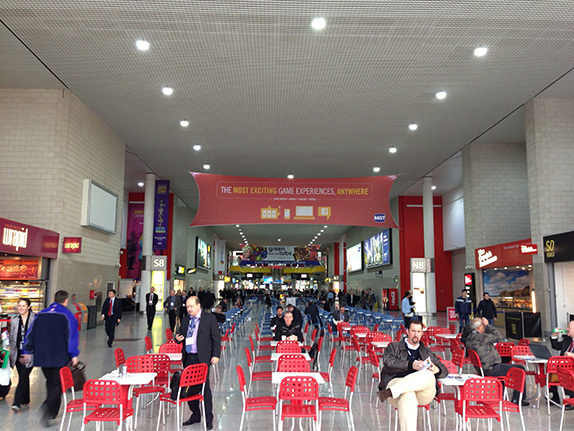 Maybe we’ll see some new game suppliers within the poker industry at next year’s show? At least I hope so. It was also interesting to see that the igaming companies bought by bug offline casino suppliers were given less focus than they used to have. For example IGT’s interactive part of the show were on an area off about 30 square metres. It was overall a very good show, got to meet a lot of familiar faces as well as having good meetings that will hopefully result in some new customers 🙂 Did I miss you at the show? Send me an e-mail and we’ll catch up!